Carbon Farmers of Australia has been helping farmers and others gain access to carbon markets since 2006, and are now expanding to cover industrial and commercial operations as we move forward with pioneering the burgeoning Australian carbon trade industry. It’s Time … The National Carbon Farming Conference & Expo’ will be held on 5-8 August 2019 in Albury NSW. 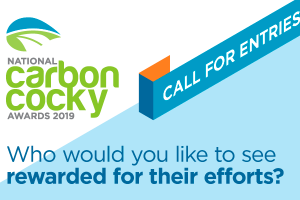 HAIL, HEROES OF THE LAND – 2019 NATIONAL CARBON COCKY AWARDS DECLARED OPEN! 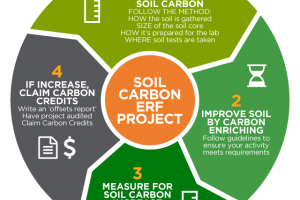 “Carbon Farming Set to become Mainstream” - IT'S IN THE LAND, SO ITS OFFICIAL! “There is a mainstream demand from Farmers for organic carbon rich soils”. Now it's time for Soil Carbon Method 101 - Cutting through the confusion. CFA are proud to celebrate the Landholders and others leading the way in Carbon Farming and Regenerative Agriculture. WE INVITE YOU TO APPLY NOW or NOMINATE SOMEONE YOU KNOW!! Today let’s look at CARBON INSETTING. Insetting is more than carbon sequestration. It’s companies building resilience in supply chains and restoring ecosystems at the same time. We de-mystify the Carbon Farming Initiative and carbon credit trading so all farmers can participate.